For decades the strategy in professional team sports has been for clubs to build championships through savvy drafting, coupled with either trades or free agency. In baseball and hockey, it is also important to have a good farm system, but in all four of America’s major pro sports the draft is a prime ingredient in team success. The NFL draft, which begins Thursday, has become such a spectacle that now it is carried on two different networks, and cities vie for the opportunity to host it. Even the NBA and NHL drafts now have specialists that follow it year-round, and offer predictions, analysis and updates on which teams did and didn’t make smart choices. The MLB draft is covered less extensively than the others, but even it has now become a major production that is covered on the MLB Network and also online at MLB.com. This year’s draft is set for June 4-6. 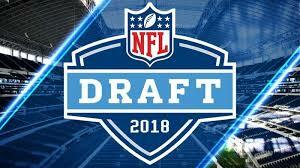 But with such focus and emphasis on the draft comes the flip side: it is designed more for bad teams to improve than for good ones to continue flourishing, even though the New England Patriots have continued to beat the system for years by finding top players late in the draft. Still for most clubs, especially those who have had awful years, the draft becomes a quick way to go from also-ran to contender status. Which has led to the prevalent problem of teams that deliberately lose games during the season to improve their draft status. The short term for this is tanking, and it has become enough of an image problem, especially in the NBA, for the Commissioner’s office to now be looking intently at ways to combat it. Ironically, the current league lottery system was supposed to eliminate, or at least improve, the situation. It was started in 1985 after a season where it was blatantly apparent that at least three teams were engaged in wholesale tanking to improve their draft position. Under the new system the non-playoff teams were put into a lottery. While the one with the worst record got the most balls and best chance to get the first round pick, it was not a sure thing any longer. But that hasn’t stopped clubs from wholesale tanking. Indeed, this year’s Philadelphia 76ers went through three years of it to assemble the high power team they now have, and there were many people unhappy with both the Chicago Bulls and Atlanta Hawks when they didn’t just throw in the towel at the end of the season and throw out on the court unproven young players in a haphazard effort to look competitive while still losing. It isn’t just done in basketball either. The Houston Astros went through multiple 100-loss seasons while accumulating draft picks and eventually using them to build a roster than won last year’s World Series. While one can say that this proves the ultimate value of that strategy, the question can then be rightly asked so how about those fans who paid top money to see years of losing baseball? Given that no (well few anyhow) teams will admit to this practice on the record, and also that it is very tough to prove, no one seems to have a solution to this problem. One idea that has been suggested is that instead of rewarding the team with the worse record instead let the team that came closest to making the playoffs in any sport have the top draft choice. The thinking behind this is that it ensures everyone will keep trying to win, and penalizes any club that deliberately throws away games to improve draft position. But thus far, that proposal has met with stiff resistance. While no Commissioner or league office wants to endorse or acknowledge that tanking happens, until/unless something specific is done to address it, teams will continue doing it for the simple reason that nothing is worse in pro sports than finishing in the middle of the pack. You don’t get high draft choices and you seldom attract free agents. So the problem remains one that pro sports has yet to solve.